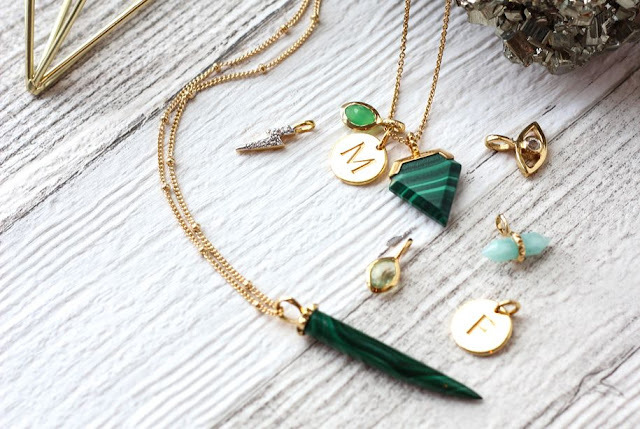 I can't get enough of Missoma's latest collection Meaningful Gemstones. 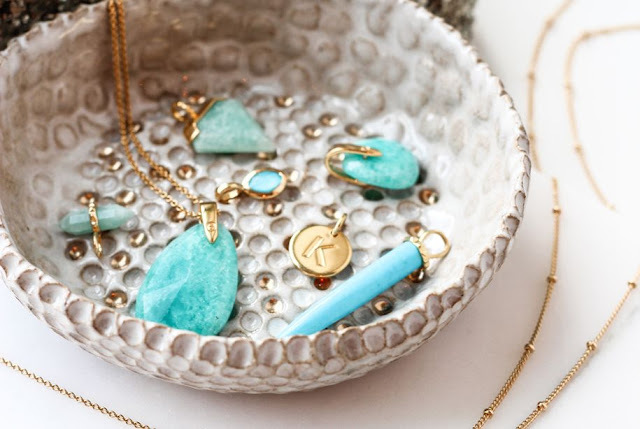 It's a definite return to what Missoma was originally known for, colour, bold layering and gemstones. The last few years we've seen the popularity of simple and plain pieces being stacked and layered up and in all honesty it's got a little predictable. There are some really unusual stones that have been used in this collection such as dendritic chalcedony, rutillated quartz but also some treasured classics such as turquoise, amethyst and rose quartz. 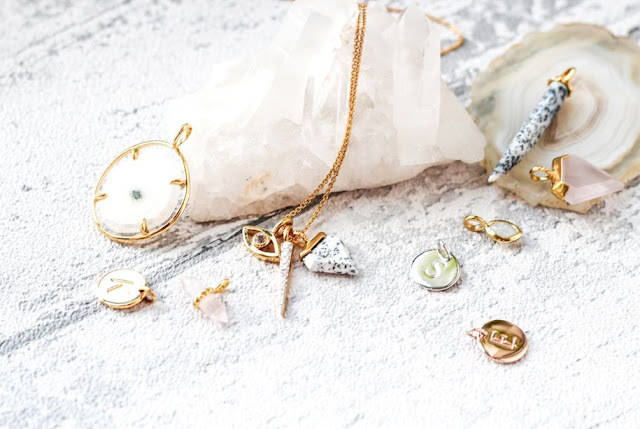 Often stones that can have a lot of inclusions or marks are often not used in collections but each stone in this collection will look very different from another giving you a competently unique piece of jewellery. This also means better trading and fairness for the miners and people working close to the source of these stones. I have already snapped up a black rutillated quartz pendent for myself which is a stone for luck, wealth and balance. 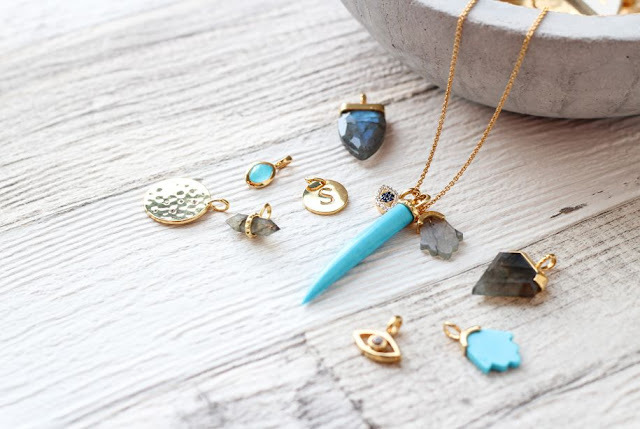 Read on to see the meanings behind this bold and colorful collection and comment with your favourite stone. Protection, Self-love, Inner Strength and Confidence – we all need certain aspects of these to help guide us through life’s journey. 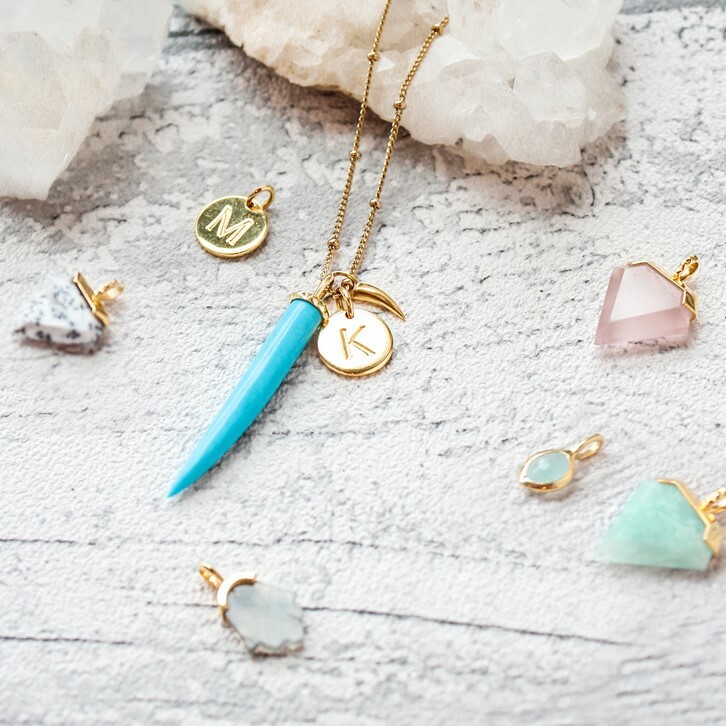 We hope these meaningful gemstones help keep you on your path to happiness, fulfilment, success or whatever it is you’re seeking. They will be a constant reminder for you of how you want to live your life and what is important to you. 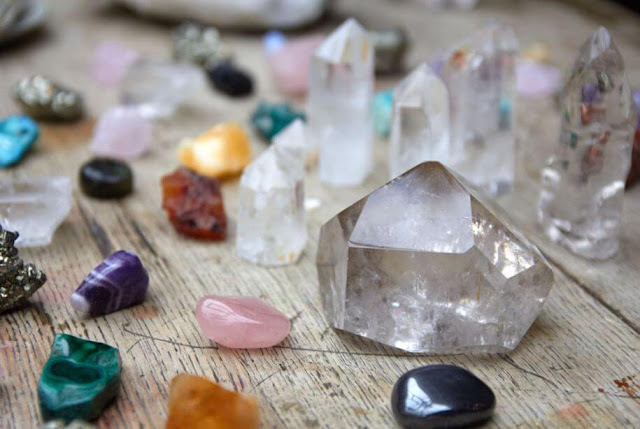 ‘I’ve always loved to have the energy of crystals around me – the power of intention is really important in today’s hectic world and they remind me of what my goals and intentions should be, and to focus on these’. 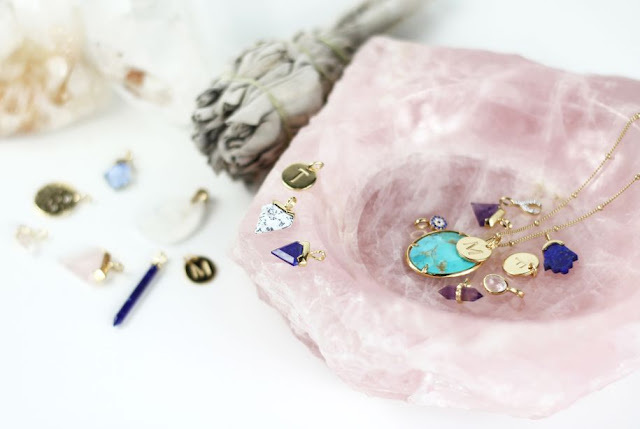 "Why we love Crystals Missoma's Creative Director, Marisa, has been collecting gemstones with her mother since she was a little girl. Everyone at school used to ask her where all her energy came from, and the joke was 'the crystals', which were displayed on glass shelves all around her bedroom. When her uncle once came to stay when she was away at school, he said that there was far too much energy in the room! 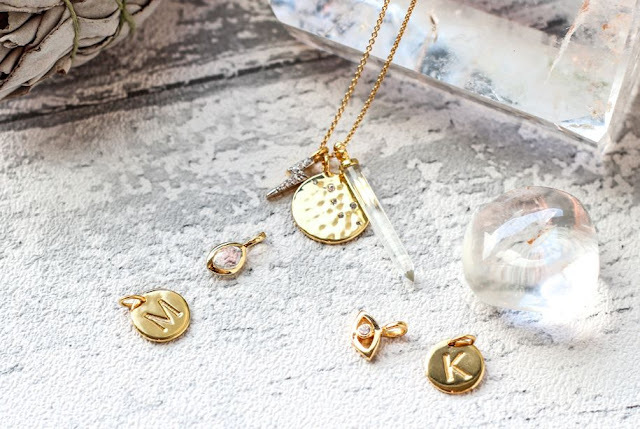 Having spent all her pocket money on gemstones, her love developed into something far more than just a childhood collection or hobby, as she started making jewellery around her kitchen table. Soon she was sourcing gemstones around the world from Hong Kong, Thailand, India and the US. 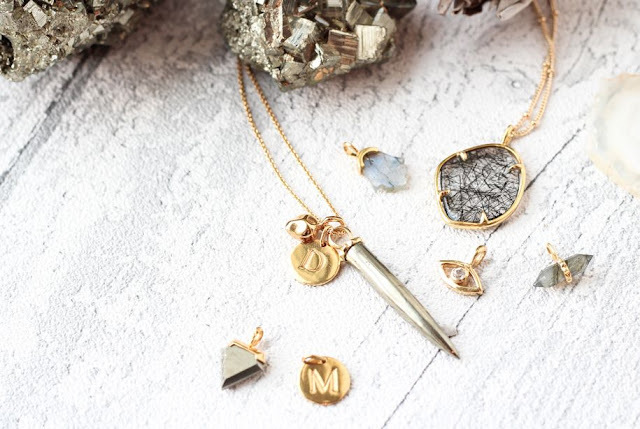 Now, Marisa's love of gemstones sees her source her gemstones directly from the rough stone and create her own special shapes and hand faceted cuts. 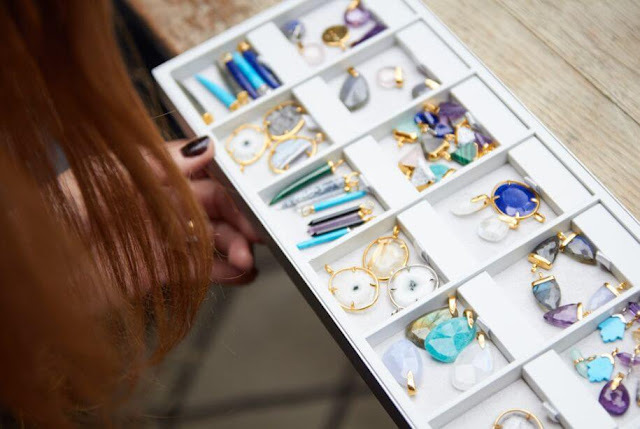 Travelling out to India to choose the gemstones based on their depth of colour, clarity or patterns, she often says it's her favorite part of being a jewellery designer. Our 'Meaningful Gemstones' collection is something of a PASSION PROJECT for Marisa, as it sees her return to her roots and the reason why she got into jewellery in the first place." Stone of Inspiration- Amazonite increases will power and communication skills. It is a calming stone that increases self-esteem. 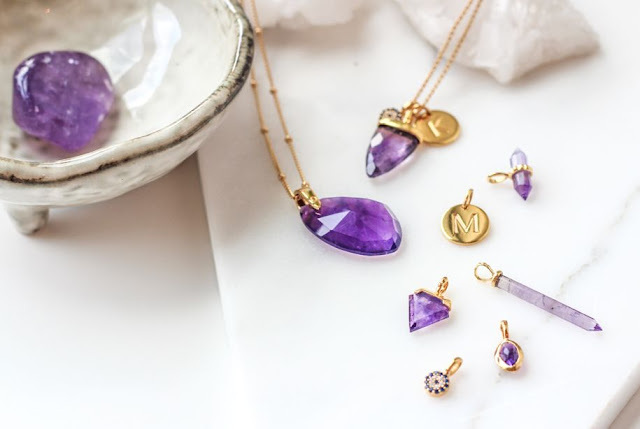 Stone of Spirituality- Amethyst is the stone of spirituality - it is believed to enhance spiritual growth and inspire healing powers and intuition. Wear an amethyst to connect with deeper subconscious feelings and develop a deeper understanding of life. Amethyst is extremely protective and neutralizes negative energy, calms the mind and spirit. It facilitates decision-making, and balances emotional highs and lows. SPIRITUALITY, HEALING, INTUITION, BALANCE, WISDOM, PROTECTION. Stone of Protection - Black Tourmaline is the ultimate protection and grounding stone. It helps focus and strengthen the body and spirit. It deflects negativity and neutralises unhealthy or distorted energies such as insecurity or resentment. Stone of New Beginnings - Moonstone soothes and balances the emotions; it helps eliminate fear of 'feeling', encourages inner growth and strength. It eases stress and strengthens inner peace. Stone of Plenitude - Dendritic Chalcedony brings fullness and abundance to all areas of life. It creates a peaceful environment and encourages the enjoyment of each moment. It brings stability in times of strife or confusion, lends perseverance and the ability to see difficulties as a challenge. Stone of Solutions - Agate enhances courage, confidence in strength. Stone of Success- Pyrite promotes vitality and personal growth. Stone of Consciousness - Labradorite protects one's aura, keeping it clear and balanced. It dispels fear, anxiety and negativity. It protects from irrational fear, helping one find order out of chaos. Stone of Polarities - Rutilated quartz brings strength with love, ease in transition, and growth in all avenues of one's development. It also helps stabilize relationships and alleviates emotional or spiritual blockages. The Wealth Stone - Citrine is known as the success stone because it promotes prosperity and abundance by manifesting your goals. It energizes and invigorates, increasing motivation and creativity. It dissipates negative energy, promotes calm and helps to live in the now. Stone of Expression - Blue lace agate eases acceptance of our own sensitivity and allows us to express our feeling. EASES ANXIETY, ACCEPTANCE & SELF-EXPRESSION. 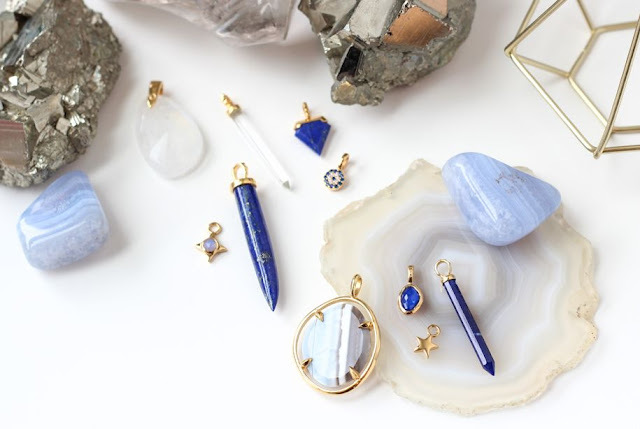 Stone of Wisdom - Lapis is the stone of wisdom- it unlocks mysteries as it helps one move through confusion and emotional blocks and uncover the root of problems. It is a mental and spiritual cleanser, eliminating old and negative emotions. Stone of Healing - Clear quartz is known as the master healer and will amplify energy and thought; a channeler of universal and unconditional love, it is said to bring good health and balance. Wear for healing, meditation and protection. Stone of Transformation - Malachite is the stone of transformation- it releases suppressed emotions and facilitates insight. It is an evil eye protector and all-purpose healer.